De Azijnpisser: Stop de barbaarse Japanse slachting van walvissen >> boycot Japan! 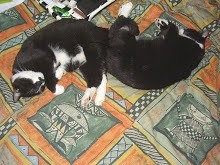 Stop de barbaarse Japanse slachting van walvissen >> boycot Japan! Gisteren ontving ik een petitie van Alex B., lid van het Care2 Petiton Team, een petitie tegen de komende slachting die Japan wil uitvoeren op walvissen, e.e.a. ook naar aanleiding van World Oceans Week (WOW), die dit jaar van 4 tot 12 juni duurt. Sea Shepherd, de organisatie die zich jarenlang actief verzette tegen de Japanse slachtingen, heeft vorig jaar de handdoek in de ring gegooid, daar de Japanse walvisvloot met militaire zaken de boel zo had versterkt en beveiligd dat Sea Shepherd niets meer kan uitrichten. Boycot Japanse producten en onderneem geen vakanties naar dat land! Hier de tekst van het Care2 team en de links naar de petitie, lees en teken de petitie ajb en geeft het door! Last year, the government of Japan harpooned 333 Antarctic minke whales to death. 120 of these whales were expecting mothers. It wasn't the first time this slaughter has occurred, and if we don't act now, it certainly will not be the last. The Japanese government conducts this annual whale hunt every summer in the name of scientific research. But non-lethal surveys have been shown to be just as effective for "biological sampling." In reality, many of the whales are ending up at the dinner table. This week is World Ocean's Week and the summer hunt is just around the corner. There will be no better time to raise your voice for these whales. 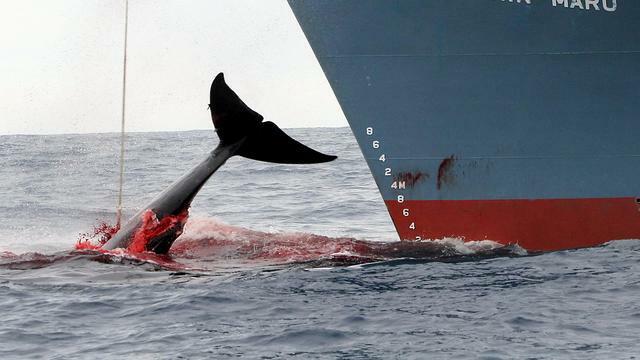 Japan plans to slaughter at least 4,000 whales over the next decade. But according to a 2014 ruling by the International Court of Justice, Japan is breaking the law by continuing their Antarctic whaling program. We must continue to shine a light on Japan's horrific, criminal hunt. Please sign and share the petition today! P.S. Each and every one of our signatures let Japan know that we are against this horrible practice. Together, by speaking up, we can send a strong message. Please sign the petition and urge Japan to end their annual whale hunt. P.P.S. Care2's World Oceans Week is leading up to the March for the Ocean on June 9th. Find out more and join us in DC or at a march near you! Last Year, Japan Murdered 120 Pregnant Minke Whales. Thousands More Could Be Next. Imagine this, you are out in the ocean, swimming along with your friends and family. The sky is blue, the water is the perfect temperature. Life couldn't be better. Then all of a sudden a grenade-tipped harpoon plows into your chest.. It explodes. Your friends look on in horror as you are dragged to your death by a whaling ship. 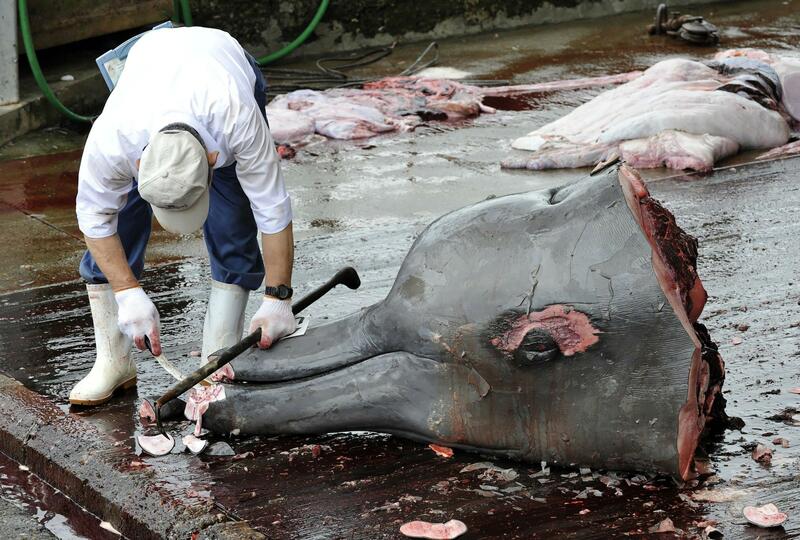 This is what happens hundreds of times a year all thanks to the horrific Japanese whaling industry. The country is one of only a handful of nations that continues to harvest the cetaceans. Officials defend the practice in the name of science. They say the whales are harvested in order to conduct "biological sampling." However, according to many experts, non-lethal surveys have been shown to be just as fruitful. Science though is only an excuse, in reality, the 333 minke Antarctic whales that were killed last year likely ended up at the dinner table. Of the hundreds of whales that were taken in 2017 more than 180 of those were female and of those, nearly 70% were pregnant making the hunt even more tragic. If the world cannot convince Japan to abandon its whaling program the bloodshed will continue since the country says they intend to kill at least 4000 whales over the next decade. According to a 2014 ruling by the International Court of Justice, Japan is breaking the law by continuing their Antarctic whaling program. Countries like Australia and animal rights organizations around the world have urged Japan to stop to no avail. But we can't give up. Each and every one of our signatures let Japan know that we are against this horrible practice. Together, by speaking up, we can send a strong message. Please sign the petition and urge Japan to end their whaling program and stop this barbaric hunt.